The Lifsey House is a hidden feature of USF’s campus. Built in 1993 to be fit for a president, the house on the corner of Fowler Avenue and Leroy Collins Boulevard has been mostly unoccupied for nearly two decades. 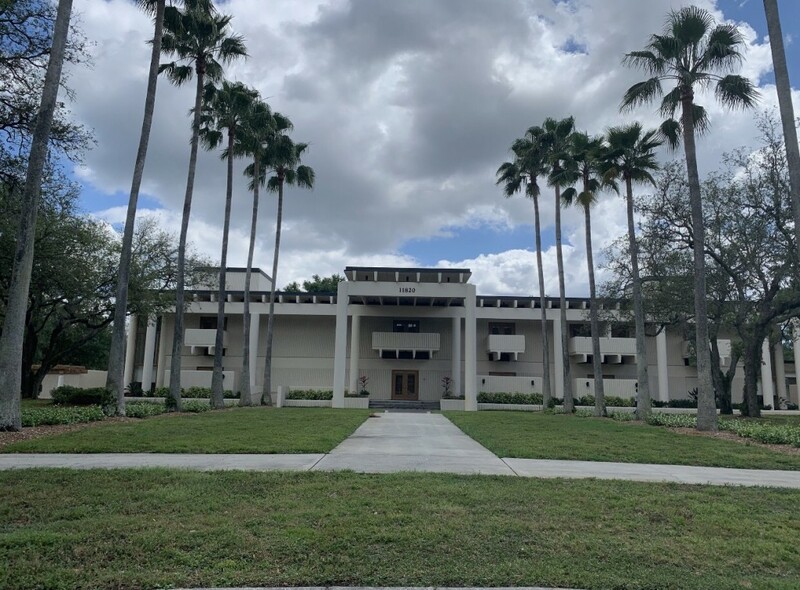 While it's currently unclear whether Steven Currall — the next USF system president replacing Judy Genshaft in July — and his wife, Cheyenne Currall, will choose to live there, one president did choose to call the approximately 10,000-square-foot house a home. Betty Castor, USF’s president from 1994 to 1999, lived in the Lifsey House during her tenure. Conversations of building a presidential mansion began in 1985, according to Andy Huse, an assistant librarian and specialist in USF history. In 1988, USF hosted a contest to pick an architectural design for the house. With a $1.2 million estimated budget — about $600,000 of which was donated by Mary Ann Lifsey and her late husband Julian Lifsey — a design was finally chosen in 1989, according to Huse. 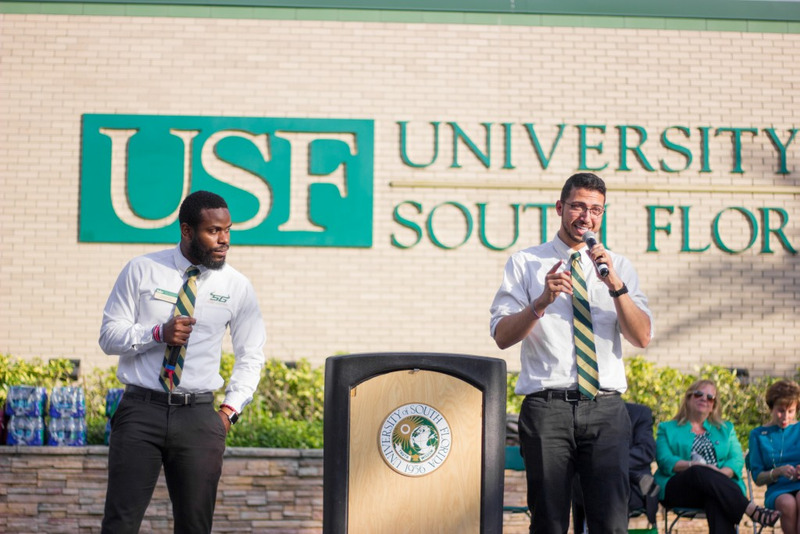 Castor said her children were adults by the time she started at USF but Genshaft chose to forego living in the house because she had small children when she started at USF in 2000. "That house was not conducive enough for two small boys," Genshaft told The Oracle in 2004. "So my husband and I decided to build our own house in a neighborhood." There have been some concerns raised about the Lifsey House for similar reasons, Huse said. Huse said, the chosen architect, Gene Leedy, described the house’s design as a classic and contemporary house with “antebellum character” but Huse said there have been issues with the design itself. “That’s one of the biggest criticisms that’s been leveled against the house is it’s supposed to be a residence but it has no warmth and kind of no sense of feeling like a home,” Huse said. “The other thing is, even though its back faces Fowler Avenue, it’s still on Fowler Avenue. Castor said she often took her work home with her while living on campus, but she and her husband had the opportunity to escape since they owned a second home off campus. However, the location was not the only controversy associated with the Lifsey House’s construction. With Shangri La now long gone, the Lifsey House still stands, even though it is unoccupied. Portions of the house have been repurposed as office space and, according to Castor, it can be a temporary home for incoming coaches or guests of honor. “ … That is one expensive office space,” Huse said. Castor said the house needs some work if it were to be a permanent home for a future resident. Currently, the future of the house remains unknown and it will be up to Currall and his wife to decide if they want to be the next presidential couple to call the Lifsey House home. The Board of Trustees is responsible for providing the Currall’s housing arrangements, regardless if they choose to live in the Lifsey House. This compensation can be for a housing allowance for a 3,500 to 4,500-square-foot home off campus. With all things considered, Castor said she enjoyed her time in the Lifsey House and “it worked very well” for her and her husband. “All in all, it’s a nice place to show off the best of the university,” Castor said.